Observation - my first addition to Ispot - UK and Ireland. Description: Here I discovered what I believe was foliose on the pine trees and on this particular tree there was a fruticose lichen also. I used a pen as a source of a scale. 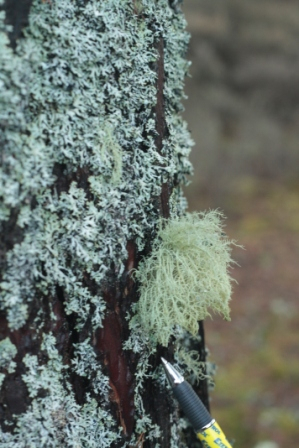 Here I discovered what I believe was foliose on the pine trees and on this particular tree there was a fruticose lichen also. I used a pen as a source of a scale.